As we all now reflect on another WWDC that managed to both deliver exactly what we expected and surprise us at the same time, there’s one theme that carried on throughout – plenty of the new features added to iOS 9 have been around for a while for jailbreak users. 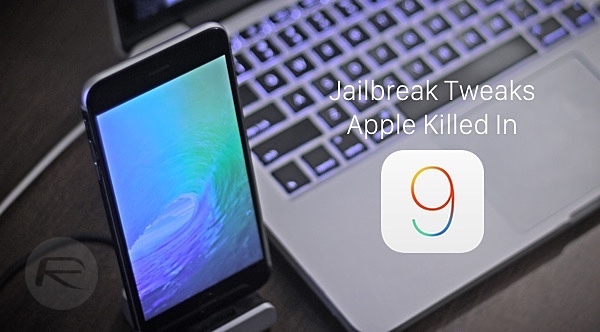 As we spent some time with iOS 9, we got to wondering just which old favorite jailbreak tweaks have ended up effectively leading the way, with iOS 9 and Apple’s engineers following. 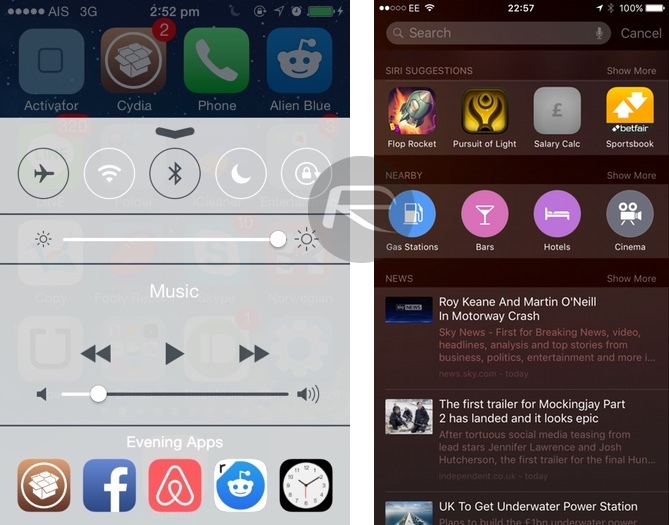 Once we’d had a think we decided to make a little list, and even though we think there may be other instances that we’ve not come across yet, these are some of the jailbreak tweaks that ended up finding their way into iOS 9 one way or another. The original video multitasking tweak, VideoPane made it possible to watch a video anywhere in iOS, with the content available as an overlay no matter what you are doing. Apple copied this tweak with the new Picture in Picture mode in iOS 9 on the iPad. This tweak does exactly what the name suggests, adding a search box to the top of the Settings app. Oh, and that’s exactly what Apple has done with iOS 9, too. Simply launch the Settings app from your home screen and swipe down to reveal the search bar up top. Just as Apple has now added to the iPad keyboard, SwipeSelection made it possible to move the text curser by swiping across the iOS keyboard instead of having to hap and hold. 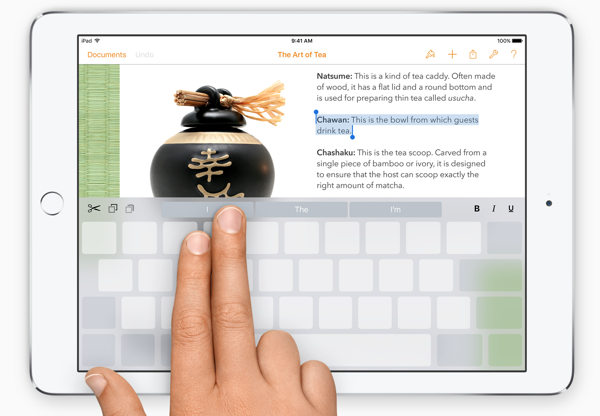 The new iOS 9 keyboard with both lower and upper case letters. The fact that iOS 9 now changes the case of the letters on its software keyboard when SHIFT is pressed is something that may not seem like a big change, but it really is. ShowCase was doing this ages ago, though. Designed to help users save battery life, BattSaver was the best way to manage battery life on a jailbroken iPhone. 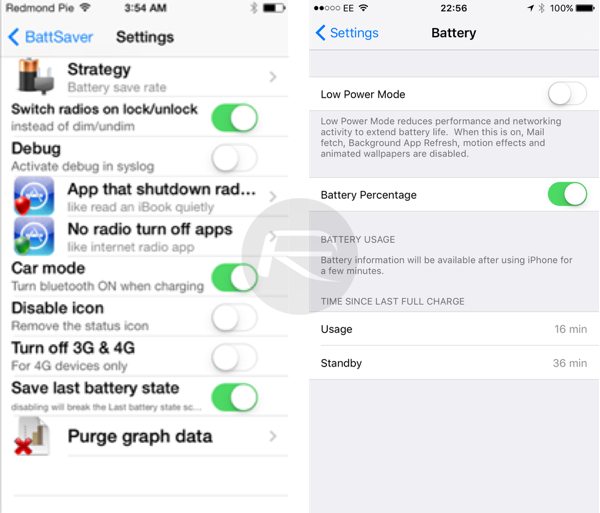 Now Apple has new power management features and the special Low Power Mode inside iOS 9. Copic showing contact photos in Messages app. 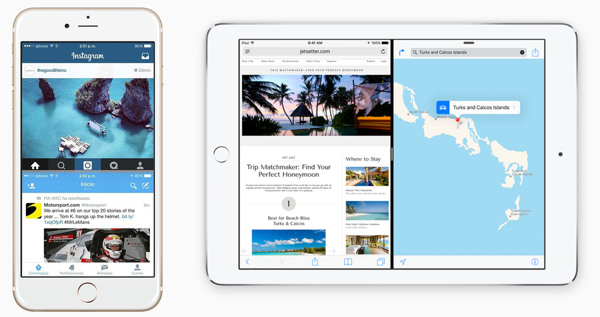 iOS 9 now has same feature on all devices. Showing contact photos everywhere in iOS, Copic offered something very similar to the way iOS 9 now shows contact photos in the Messages app on every device – not just the iPad or the iPhone 6 Plus. 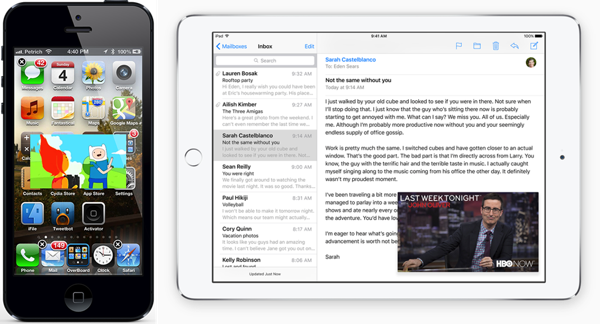 Split-screen multitasking on the iPad before Apple did just that with iOS 9 – all thanks to the ReachApp jailbreak tweak. Oh, and it was just as awesome as well. Apple made a big thing about iOS 9 being able to suggest apps to launch based on a user’s past habits, and RelevApps did something similar in the jailbreak world already. Not quite as clever as iOS 9, RelevApps showed icons for different apps depending on the time of day in Control Center, as opposed to Apple’s implementation in new Spotlight Search page. 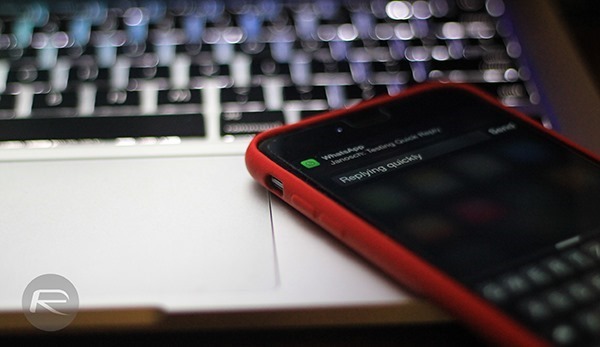 Not just limited to Apple’s Messages app, Apple has opened up the Quick Reply API for every app with iOS 9, which means that you’ll be able to send an instant reply to your WhatsApp contact – for example – without ever having to jump into the app itself, something which jailbreak tweaks have been doing for ages. Most notable jailbreak tweaks in this department are IMN for LINE and Facebook Messenger, Nuntius for WhatsApp and QuickReplier for Viber. As we say, there are likely more than this but this is what we have come across already. Apple has taken hints from the jailbreak community in the past and, if this list is anything to go by, it’s still at it today. And that’s a very, very good thing indeed. While most of the jailbreak variants are more capable, and yes, Apple SHOULD have implemented these features since iOS1.. Blah blah blah..
We could argue all day about this, but in the end, the last word will be “finally”. itvs a shame that Apple didn’t apply swipe selection to the iphone! Ièd argue that it’s more useful on a smaller screen than a large one. I didn’t know they opened the api for quick reply and this is something everyone should be talking about. Swipe selection finally. Would love to see mute from headphones whille in a call. Oh snap! You are right!!! I just saw “iOS 9 hidden features – top 50 list” (at the 4:25 time mark) on YouTube the guy in that video had a regular iPhone 6 and mentioned that this feature wouldn’t work on the iPhone 4s. Very nice! It’s even better than the original swypeselection! 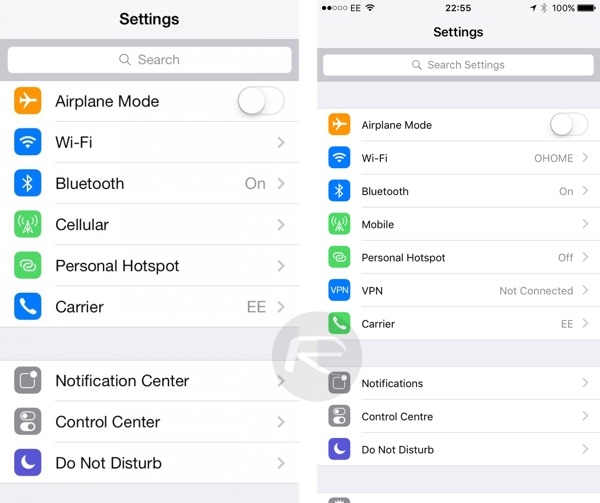 iOS9 features that apple copied from Jailbreak Tweaks !!!!! Hi Cook. Do we really need to have WWDC conference every year for announcing jailbreak features that released within last 2 years? Groovylock. Simple Lockscreen tweaks like weather. Come on Apple. Homescreen Designer. Put icons where I want. 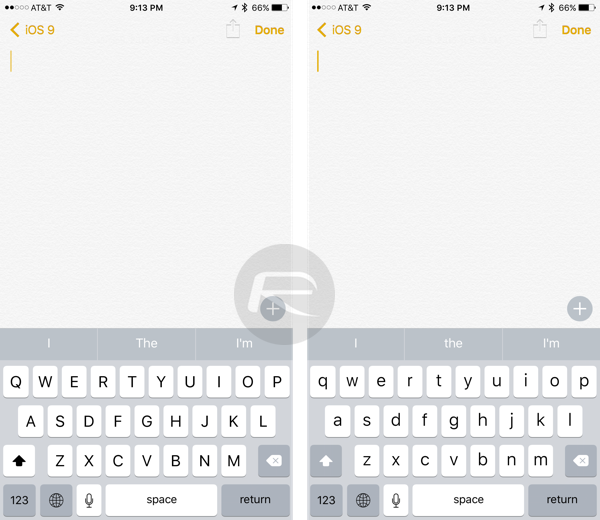 Couria is a great quick compose tweak! it is free & way better than Bite-SMS IMO. There was also on iOS 8, but only for Messages, now can be implemented in many other messaging apps, like whatsapp or facebook messenger. 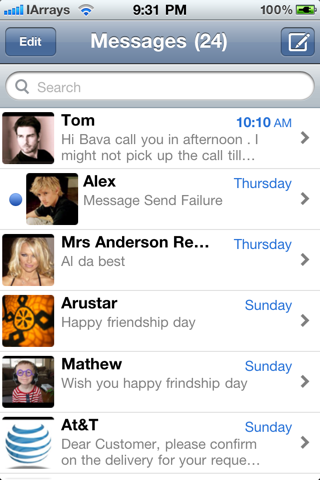 iOS 9 Beta 2… and theres no contact pictures in messages… I Have an iPhone 5S and pics do not show. Do the JB tweaks have any copyright?!!! This is OUTRIGHT Stealing.Then they vigorously fight JB with their lobbyist and lame patches to stop it.SHAME. I know the best site for ՍΝᏞΟᏟΚing AT&T phones, it’s just google atttiphoneuunlocking, when you have devices l0cked to AT&T, go check it out, we can ՍΝᏞΟᏟΚing the brand new 6S and 6C as well. I agree that Apple does seem to get a lot of new features from the JailBreak community. Having said that, jsut because the jailbreak community got to it first, that does not mean that Apple did not have it in their ‘todo’ list. A lot of these applications, tweaks etc.. are a natural progression in usability and functionality. Unlike other reviewers, I personally see Apple as a very talented and highly skilled corporation. Sometimes you cannot put out quality products as fast as you would like. Google releases them en masse and sometimes they are really buggy having rushed the production and testing. Having said that, if people don’t like apple iPhones, Apple and just want to complain about them, don’t use them. There are heaps of other phones and mobile providers out there. They got rid of this in the GM.